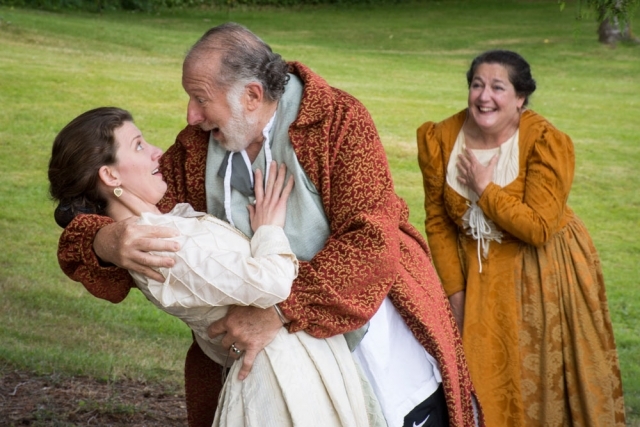 Sir John Falstaff arrives in Windsor somewhat short on cash, and decides his best remedy for the situation is to marry a rich woman. He sets about courting the married Mistress Ford and Mistress Page, sending identical letters to each. 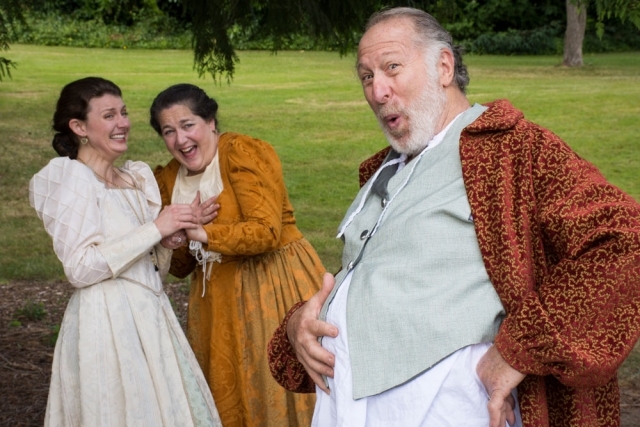 The merry wives quickly figure out Falstaff’s game, and while they’re not at all interested in his advances, they lead him on in order to play a series of jokes and indignities on him. Meanwhile, three suitors compete for the hand of Page’s daughter, Anne. Who will win? And what of the others in this tale of love and marriage, jealousy and revenge? The Merry Wives of Windsor runs from July 8 through August 13, 2016 in parks all around the Seattle area.